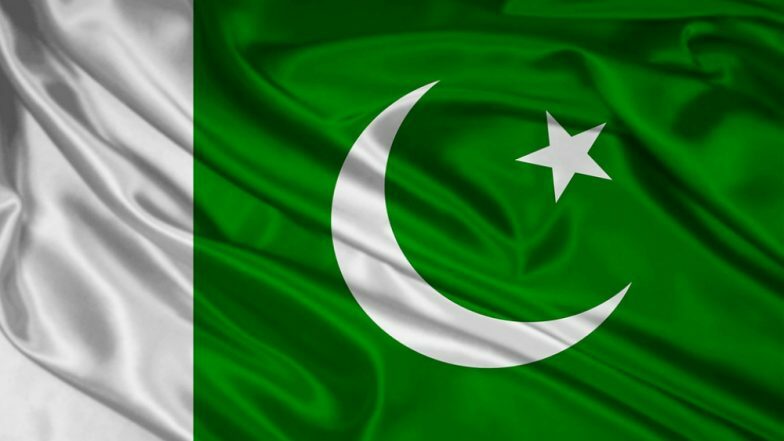 Islamabad, April 1: Pakistan's senior Muslim clerics and representatives from different religions have condemned forceful conversions, saying Islam doesn't allow such acts and Muslims must provide better environment to minorities in their areas, according to a media report. The remarks made during a joint meeting of the Mutahida Ulema Board (Punjab) and Pakistan Ulema Council on Sunday came amid the nationwide outrage over the alleged forced conversions of Hindu girls in Sindh province. "Islam doesn't allow forceful conversion of non-Muslims," the religious leaders said. Canada: Sindhi Community Protests in Mississauga Against Forced Conversions of Hindu Girls in Pakistan. They agreed that the issue of alleged forced conversion and marriages of two teenage Hindu girls in Sindh province and other subsequent matters should be settled in accordance with the law and justice, the News reported. The meeting - presided over by Chairman Mutahida Ulema Board and Pakistan Ulema Council Muhammad Tahir Mehmood Ashrafi - underlined that Islam is a religion of peace, harmony, stability and its teachings have categorically defined rights for non-Muslims residing in Muslim countries. The senior religious leaders also condemned terror activities being carried out on account of Islamphobia and demanded constitution of a judicial commission to probe the killing of Bahawalpur professor to avert such extremist incidents in future, the paper said. A third-year student at Bahawalpur's Government Sadiq Egerton College last month allegedly stabbed a professor to death over what he vaguely described as the academic's "anti-Islam" remarks. The meeting came days after a Hindu lawmaker from Prime Minister Imran Khan's party moved two bills in Parliament seeking enhancement of punishment for those involved in forced conversion and for making child marriage a cognisable offence. The five-point resolution called for immediate passage of the bill against forced conversions, which had been unanimously passed by the Sindh Assembly in 2016 and then reverted due to pressure of extremist elements, from all the legislatures. Pakistan: Two Hindu Teenage Girls Abducted And Forcibly Converted to Islam on Eve of Holi; Sushma Swaraj Seeks Details From Indian Embassy. Through the resolution, the lawmakers demanded strict action against the culprits including controversial religious figures who are involved in forced conversions. The Hindu community in Pakistan has carried out massive demonstrations calling for strict action to be taken against those responsible for forced conversion and marriages of Hindu girls, while reminding Prime Minister Khan of his promises to the minorities of the country. Last year, Khan during his election campaign had said his party's agenda was to uplift the various religious groups across Pakistan and said they would take effective measures to prevent forced marriages of Hindu girls. Hindus form the biggest minority community in Pakistan. According to official estimates, 75 lakh Hindus live in Pakistan. Majority of Pakistan's Hindu population is settled in Sindh province. According to media reports, approximately 25 forced marriages take place every month only in Umerkot district in Sindh province.